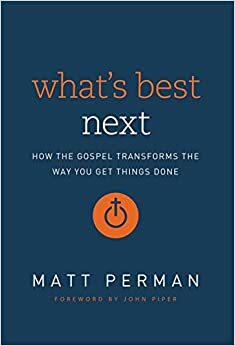 I recently finished reading one of the most important books published this year. That book is Christian Reconstruction: R. J. Rushdoony and the American Religious Conservatism by Dr. Michael J. McVicar (published by the University of North Carolina Press). My greatest disappointment in this book was that it came to an end after about 300 pages. Although I was only on the peripheries of the Christian Reconstruction movement, I relived parts of my life back in the 1970s–1990s. I got to hear and meet Dr. Rushdoony on 3 occasions. The last time was June 6, 1991. That would have been my wedding day, but Stephanie and I delayed our marriage for a week so that we and others could go to Rockwall, Texas to hear Rushdoony speak. I sent him a couple of books through the years (and always got prompt thank you notes); I talked with him on the phone twice; I read, quoted, borrowed from his books and ideas continually; I listened to his taped lectures and talks for years; and I self-consciously used his teachings, example, and readings in a way that has made him a key mentor in my life. I realize that this important man and incredible book will not be as familiar or compelling to some of you. Two things I would admonish you to do: be slow and be quick. First, be slow to start Googling “Rushdoony, Christian Reconstruction, Theonomy,” and similar terms. There are plenty of good websites that detail Rushdoony’s work. The best, not surprising, is Chalcedon, which is the foundation that Rushdoony started in the 1960s. 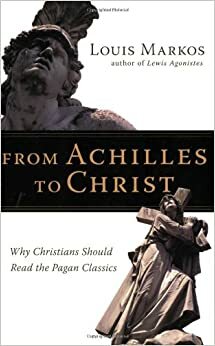 By the way, the Chalcedon website is currently featuring Martin Selbrede’s review of McVicar’s book. Selbrede is more focused on the details than I will be, and his review is outstanding. 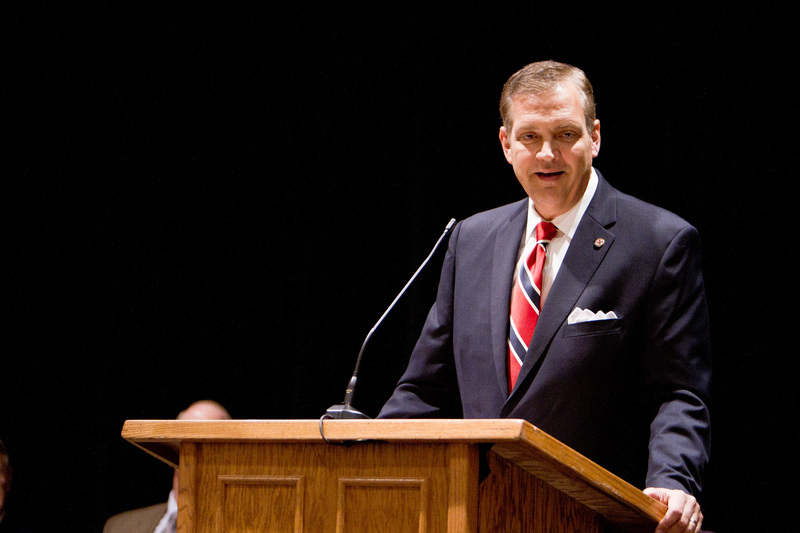 There are, unfortunately, all too many websites that are devoted to Christian scalping. There are mean and vicious things said on the Internet about Rushdoony, as well as about nearly every other prominent Christian preacher, theologian, writer, or thinker. I try to avoid the shrill, attack dog web-sites. I am not saying that there are not areas where faithful Christians can disagree with Rushdoony (I certainly don’t agree with him on everything) nor am I saying that he was without fault. He spoke and wrote extensively for over 50 years. All baseball players strike out sometimes, but Rushdoony’s homerun record is pretty impressive. Perhaps, you need to read some of R. J. Rushdoony’s books, essays, and other writings. He wrote over 50 books, and more of his unpublished works are being published every year. He wrote some hefty and challenging theological works that might or might not attract you, but he also wrote lots of shorter works on all manner of subjects. Rushdoony was not primarily a scholar, theologian, or weighty thinker, although he had those abilities. He was a preacher and teacher. He took deep ideas and reduced them to one to five page essays. He used lots of repetition. He was simple without being simplistic. 1. Rushdoony was a major factor in making Cornelius Van Til’s apologetic thought well known. This may seem like the obscure leading the obscure, but the field of apologetics (the defense of the faith) is a major issue for Christians. Van Til, borrowing from Abraham Kuyper, radically changed the approach that was being used to defend Christianity against other belief forms. 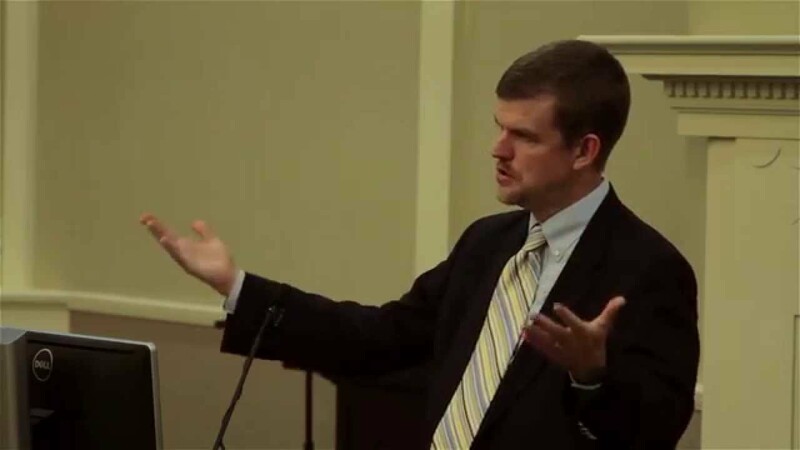 There are lots of past, present, and future debates regarding presuppositionalism (Van Til’s method) verses evidentialism (or traditional apologetics). I borrow heavily from both camps, but there are great benefits from at least understanding that no area of life is neutral. That was Van Til’s contribution, which Rushdoony echoed and broadened. 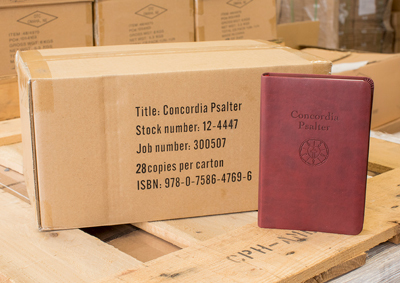 McVicar devotes a large portion of the book to detailing Rushdoony’s writings and interaction with Cornelius Van Til. 2. 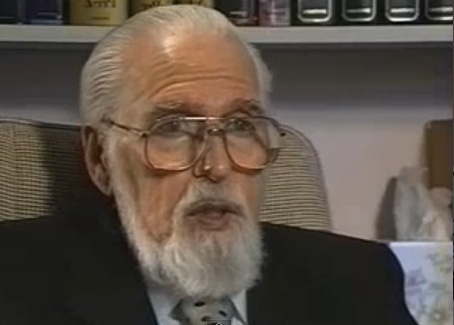 Rushdoony was a major contributor, defender, and promoter of Christian schools and home schooling. Rushdoony was advocating Christian education long before there was an audience ready to hear the message. He wrote two of the most defining books on the topic back in the late 1950s and early 1960s. Those books are Intellectual Schizophrenia and The Messianic Character of American Education. During the late 1970s and 1980s, Rushdoony basically wore himself out traveling across the country to testify in court cases. The scenario was like this: A family or a small church school would be charged by the state with not obeying the laws regarding compulsory education. Rushdoony would be asked to come to provide expert testimony. Most lawyers had no idea what they were facing when this bearded, short man approached the witness stand. Rushdoony’s knowledge of history, law, education, and theology was incredible. Major battles were won by Christian educators and parents, thanks to Rushdoony. McVicar covers this subject as well. 3. Rushdoony was very influential in the growing and expanding of the conservative movement all the way back to the 1950s. Along with men like William F. Buckley, Rushdoony sought out and educated a band of young thinkers who began building a nation-wide movement. 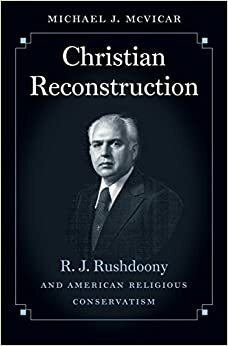 In contrast with Buckley and most of the broader conservative movement, Rushdoony wasn’t looking to Edmund Burke or other models from the past. He was always convinced that only a truly Christian movement, built upon Scripture and guided by Reformed/Calvinistic theology, could provide answers. 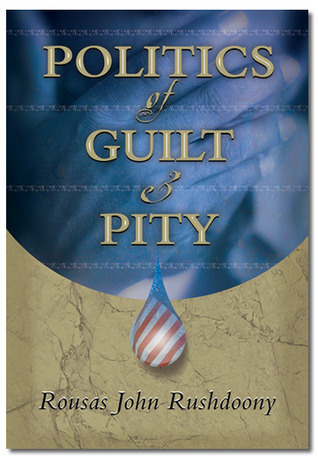 MicVicar’s book is largely devoted to Rushdoony’s role in the conservative movement, as the subtitle attests. This part of Rushdoony’s work is covered in the book. 5. Rushdoony had a major influence on Christian worldview thinking. There are many books and proponents of Christian worldview thinking. By that, I mean efforts to apply Christianity to all areas of life and thought, and not just to some limited spiritual realm. Rushdoony continually emphasized the Lordship of Jesus Christ over every area of life. He talked about government, history, economics, science, art, music, and other topics. 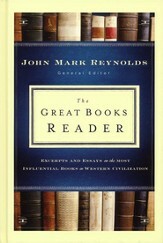 Although he does not get the footnotes and credits he deserves here, his books edged key people who wrote more popular books on these areas of thought. This is in the book, although it is not McVicar’s main point of emphais. 6. Rushdoony played a critical role in the development of a host of books, organizations, and people promoting Creation Science. Being a six day creationist, after having shed more liberal theological views from his youth, Rushdoony was in a small minority because of his views. Two men, John Whitcomb (a theologian) and Henry Morris (a scientist), wrote a book on the Genesis Flood. 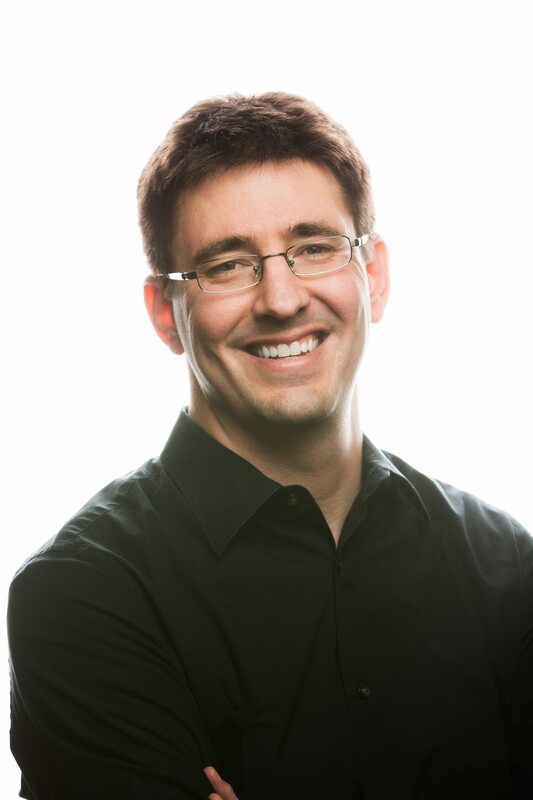 After several conservative publishers rejected the book, they stepped outside their own theological comfort zones (they were Baptists and dispensationalists) and asked the Presbyterian Post-Millennialist Rushdoony to look at their manuscript. 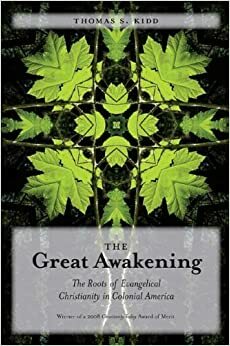 Rushdoony read and like it, and then he persuaded Charles Craig of Presbyterian and Reformed Publishing Company to take a chance on this book. Published in the early 1960s, The Genesis Flood is still in print and has spawned whole book shelves full of other books. 7. Rushdoony played a central role in creating, promoting, and fostering a renaissance of scholarly Christian thought. 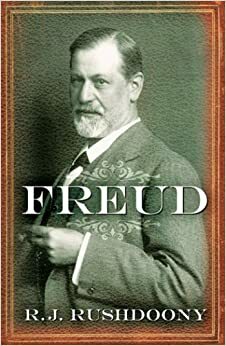 He himself wrote books on American history, education, politics, science, pyschology, Freud, church creeds, economics, the overpopulation myth, American Indians, philosophy, law, and theology. But he promoted and wrote forewords to lots of other books on Christian topics. 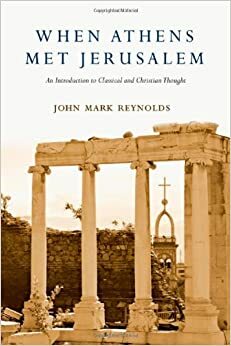 Rushdoony wrote introductions to two of the first books in English that introduced American Christians to Dutch philosopher Herman Dooyeweerd. Although many of Dooyeweerd’s followers today shy away from Rushdoony, his contribution to making this profound thinker known was immense. 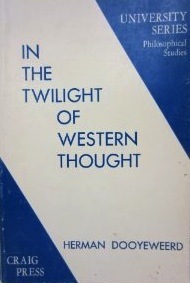 Rushdoony promoted books by Gordon Clark, although Clark disagreed with Cornelius Van Til. Rushdoony contributed 2 volumes to a series of books published by Presbyterian and Reformed Publishing Company that was called “The Modern Thinkers Series.” These were outstanding short monographs on theologians, philosophers, and other thinkers, all written from Christian perspectives. Rushdoony’s two books were on Van Til and Freud. Rushdoony promoted the work of other Christians thinkers as economist Gary North, historian Gregg Singer, theologian Greg Bahnsen, historian Otto Scott, theologian and political thinker Francis Nigel Lee, and many others. He influenced Francis Schaeffer, John Whitehead (whose work centered on law and legal justice), and countless others. And among those he influenced was me. Let us consider this as part 1 of my review of this book and man.